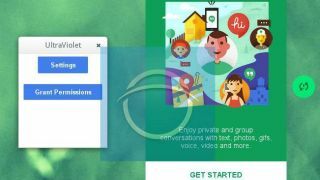 Google's working on the next update to its Hangouts experience, and this one will allegedly bring some pretty big interface changes. The new look, uncovered by notorious Google leaker Florian Kiersch and codenamed 'Ultra Violet', will display your contacts' photos in small circles, just like Facebook's floating Chat Heads that feature on its app. There also seems to be a new conversation window that pulls together all of your ongoing chats into one place. This discovered version was an extension of the Google desktop Chrome browser, but it's highly likely that it will come to mobile too. The source said that there will be a number of other design changes too, but wasn't able to provide any details on what they might be. But as you can see in the screenshots, this looks like it'll be a pretty significant overhaul of Google Hangouts, which has struggled to achieve prominence in the face of its bigger messaging rivals. No word on when we might see Google roll out this update, but we're crossing out fingers that this will be an overhaul across all devices - and one that will happen soon.